Prime Minister Sheikh Hasina on Thursday announced ‘Boishakhi Festival’ allowance and 5 percent increment for teachers and employees of non-government educational institutions, who are now under monthly pay order (MPO). She made the announcement while distributing cheques of seed money among nine organisations and trust funds at a ceremony at Ganobhaban in the evening. Nearly five lakh teachers and employees of non-government educational institutions like schools, colleges and madrashas under the MPO will get the increment and Boishakhi Allowance. An additional amount of Tk 532 crore will be spent annually on meeting the expenses of the increment, while Tk 177 crore will be required annually to provide the Boishakhi Allowance. She donated Tk 10 crore each as seed money to Non-government Educational Institution Teachers-Employees Welfare Trust and Non-government Educational Institution Teachers-Employees Retirement Benefit Board. 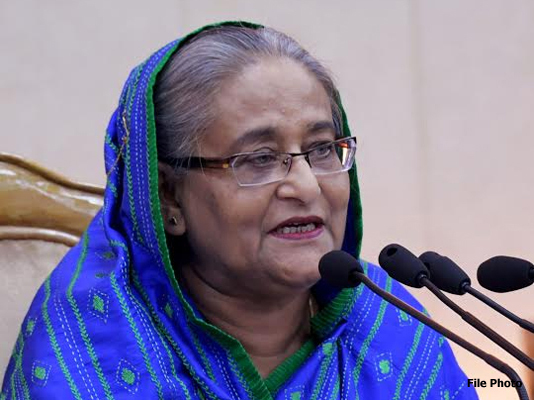 The Prime Minister also provided Tk 10 crore each as seed money to Bangabandhu National Agriculture Award Trust, Bangabandhu Science and Technology Fellowship Trust and Bangabandhu Sports Activists Welfare Foundation. Besides, she donated Tk five crore to Imam-Muazzin Welfare Trust and Neuro-Developmental Disabled Protection Trust each. Agriculture Minister Matia Chowdhury, Social Welfare Minister Rashed Khan Menon, Home Minister Asaduzzaman Khan, Cultural Affairs Minister Asaduzzaman Noor, Science and Technology Minister Yafes Osman, State Minister for Youth and Sports Biren Sikder and Deputy Minister for Youth and Sports Arif Khan Joy were present on the occasion.